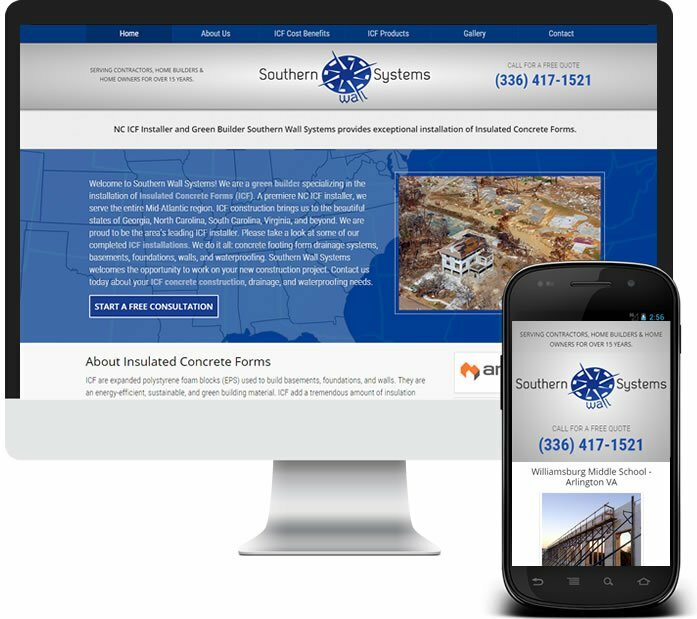 Southern Wall Systems specializes in the installation of Insulated Concrete Forms (ICF). While the company was built on solid ground, their website suffered from shaky footing and poor design plans. We put on our construction boots and hardhats then entered the WordPress waterproof basement. We poured a concrete foundation then aligned the frame. Of course, we used only the best web design building materials: logo design, branded custom template, image gallery and SEO optimized content. We completed construction on time and budget! You don’t need a building permit to verify this responsive site was built to North Carolina code. A monthly MyUntangled® maintenance plan will keep this website solid as a concrete rock. Go on, break ground in this brand new construction site: www.ncicfinstaller.com.